You can keep up to $10,000 in assets for an individual and $20,000 for a couple. This includes a tax refund. Please remember, this includes all of your personal property like furniture, jewelry, computers, cars and money in the bank. The exemptions or protection of assets in bankruptcy only applies to what you have in your possession. So, if you pay a family member or friend back with money from your tax refund, you cannot protect that amount because it is no longer yours. The Trustee in a Chapter 7 or Chapter 13 bankruptcy may ask for the money back from your family or friend if it is a large amount of money paid back within a year or two before filing bankruptcy. Please discuss any large tax refunds with your attorney before you file and before you use the refund. We help people file for bankruptcy under the Bankruptcy Code. Disclaimer: this blog post is not legal advice. If you would like us to give you legal advice, please call and schedule an appointment to see us in the office. Most of our clients file Chapter 13 bankruptcy when they are in debt and cannot pay their monthly expenses because they have too many credit card payment, medical bills, or payday loans. Most of the time this happens when they lose a job, are out sick without pay or get a divorce. We start all clients with an easy process, a free, private appointment to talk about what it going on in your life? We ask a lot of questions at this appointment about how much you make, what assets you own (paid for cars, jewelry, money in the bank, ira/401k, inheritances, lawsuits where you are the plaintiff) what bills are you paying, house payment, car payment, credit cards, student loans, pay day loans, etc.,. We are making sure that Chapter 13 Bankruptcy is the right choice for you. A lot of clients file Chapter 13 Bankruptcy to keep the house or car when they have fallen behind in the payments. We also answer your questions about bankruptcy. We send you home with some information about bankruptcy and a small amount information to gather. This information is required by the Bankruptcy Code. We must provide some items to the Bankruptcy Trustee, like tax returns, pay stubs and bank statements. Once you are comfortable that Chapter 13 bankruptcy is the best way to get out of debt, we schedule a second appointment. This appointment usually lasts about 2 hours. The first hour is spent getting your pre-bankruptcy certificate and copying information we must supply to the Bankruptcy Trustee on your behalf. Then you will meet with an attorney or paralegal to go through the questions in the bankruptcy petition. The bankruptcy petition is the written forms we must file with the Bankruptcy Court to get your case filed and obtain a case number. You will sign your petition. An attorney will review what happens next with you and go over questions to ensure the bankruptcy information is correct. Attorney Mark Podis, then reviews all of the information in your file to ensure it accurately reflects the information you provided. If there are questions or problems, we may call you in for another chat to make sure this is the best decision for you. If all the information looks true, accurate and complete, at our office, Attorney Mark Podis files it with the Bankruptcy Court Clerk. Once the bankruptcy case is filed, the Automatic Stay is in effect. Mr. Podis will email when your case is filed. Most Courts require the creditors get notice before this stay is effective. So we Fax, E-mail or Call creditors who are trying to sell or repossess items, or garnish wages or sue you. We mail you a copy of your petition and ask you to review it as soon as possible and let us know of any changes, errors or omissions. The petition is signed under oath so it is important it is completely true. It is mandatory the court receive your first payment on your Chapter 13 plan immediately after filing. If you wait to pay, the court can dismiss your case or place it on a probation status (this means if you miss a payment, they will dismiss your case without a hearing). The Chapter 13 Bankruptcy Plan usually lasts 60 months. If you are paying 100% to your unsecured creditors, it can be a shorter length of time. After your petition is filed and you have attended your court date/Meeting of Creditors, you will need to take the Financial Management Class. The Chapter 13 Trustee’s office offers a free class. We generally recommend that one because it is necessary if we make any changes in your case in the future. The Court sets up dates for things to happen in your case. You get a copy of your court dates from the court and from our office. The first Court date is usually the Meeting of Creditors (if this is not your first case within a year, you will have extra court dates). This is where the Chapter 13 Trustee reviews your information and asks questions to ensure the accuracy of the petition. Your creditors have an opportunity to show up and ask questions (this is often handled by the attorney). For example, a car creditor may send an attorney or paralegal to check to make sure you have car insurance or look for better treatment under the Chapter 13 plan of repayment. At the Meeting of Creditors, the Trustee calls the roll call of all cases to be held at that time. He or she then gives a speech about how important it is to list all of your debts and assets. They then ask you to review your petition again (please bring it with you to court). Then they tell you to go tell your lawyer of any errors or omissions. We ask our client to be about 45 minutes early to the Meeting of Creditors. There is a form to fill out and turn in to the Trustee. We also want to walk you through the Meeting of Creditors procedures. When it is your turn to testify and answer questions, we are called up to the table. The Trustee swears you in and checks your Government issued photo identification (drivers’ license or passport or military id) and Social Security Card. The Trustee will ask you a few questions, such as, are you still employed at the same place as when you filed? Can you sue anyone? Are your bankruptcy schedules true, accurate and complete? Are there any changes? Then the Trustee will ask your lawyer to present the Chapter 13 plan of repayment and they will ask questions like how much is the first mortgage? How far behind is it? How much is the car payment? What is the interest rate? Monthly payment? How much is the unsecured debt? How will the attorney’s fee be paid? They will total the payment and see if it matches the proposed plan payment. Most of the time it is the same or super close (a dollar or two off). The Trustee asks if this is a plan payment you can make? They then have you wait for everyone to testify. The Trustee calls the roll call again and shows a video and then you can leave at the end of the video. Your creditors must file paperwork with the Bankruptcy Court Clerk to be paid. This is called a Proof of Claim. The court sets a deadline for them to file this paperwork (usually about 60 days after filing/moc). If it is a secured claim, they must attach paperwork proving the lien on the house, car or other items. If a creditor does not file a claim, they do not get paid. We do our best to encourage creditors to file claims by reminding them when the bar date is approaching. Once the Proof of Claim deadline has passed, the Bankruptcy Trustee sends you a copy. We also send you a copy of it and ask you to review it for accuracy. After the Proof of Claim deadline passes, there is not much to do in your case unless you have a change in circumstance, such as a change in job, change of address or phone number or have an accident or other claim that arises where you may need to file a lawsuit against someone, inherit money or life insurance proceeds, settle or win a lawsuit that was filed before or after your bankruptcy was filed, win the lottery (it happens!) or get some kind of wind fall of money (a gift). Sometimes you wreck your car or lose your job or get a divorce during bankruptcy. If one of these things happens, contact your lawyer. We do not always have good options in response to these problems, but we will give you the correct options. At the end of your Chapter 13 Bankruptcy case, you will need to complete and sign a Domestic Obligation Cerficate, return it to your lawyer so it can be filed with the Bankruptcy Court. Then a 522q Motion can be filed and after 22 to 30 days, the case will be discharged if no objections to this motion or the Domestic Obligation Certificate is filed. This is a rough idea of what happens. There are motions that can be filed in your case if you fall behind in your payments, such as a Motion to Dismiss for Failure to Fund the Case or Failure to Cooperate with the Trustee/Court. Creditors can file a Motion for Relief from the Automatic Stay provisions if they are not being paid during the case. If you are interested in filing a Chapter 13 Bankruptcy in Middle Tennessee, we would be happy to discuss your options with you! For more information visit www.BankruptcyNashville.com or call 615-399-3800 and schedule a free appointment with us! 6 Locations to better help you! This article is not a rendering of legal advice. At our office, your initial consultation is free! Together, we look at your circumstances and discuss the options that will help put you on the road to recovery. When you arrive at our office, we ask that you bring with you: 1) A photo id, 2) A social security card, and 3) A list of the debts you owe. This allows us to best assist you in determining which option is the best for you! In meeting with a member of our knowledgeable staff, we will assist you in determining whether bankruptcy is the right option and if it is, whether a Chapter 7 or Chapter 13 will best assist you! Make an appointment today to determine if filing is the best option for you! The answer is probably! There are several types of Bankruptcy. 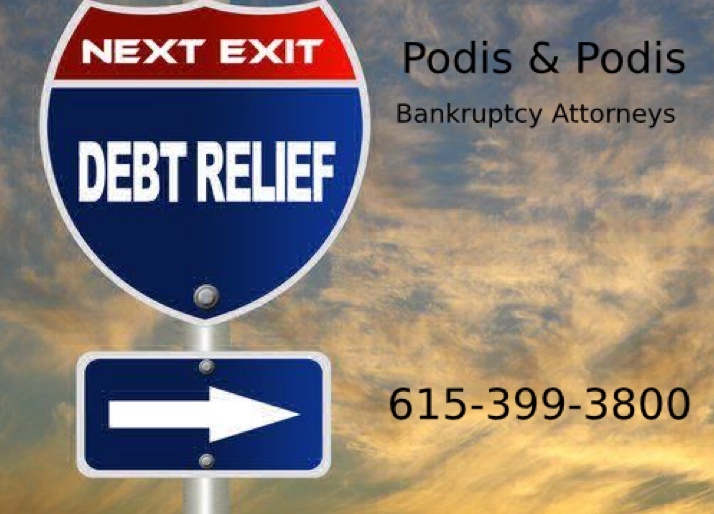 At Podis and Podis we deal with Chapter 7 and Chapter 13 Bankruptcy for individuals and married couples. Which bankruptcy to choose? Well, that is as individual as you and what you are looking to accomplish. Chapter 7 is for anyone who has dischargeable debt and assets that are not at risk in a bankruptcy. We can protect up to $10,000 per individual and $20,000 per couple of assets such as cash, car value, household goods like tax refund money, antiques, jewelry and electronics. The amount of equity in your home is protected up to a point. This depends on your age and if you have legal custody of minor children in the home. Your eligibility for Chapter 7 Bankruptcy also depends on your household income. 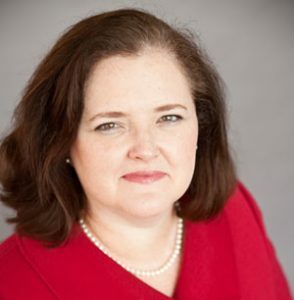 The level begins with an individual in Tennessee $40421; with one dependent $50,679 and with two dependents $57,528. It is a sliding scale ratio of income to family size. If you are trying to get rid of debt, and have little or no non-dischargeable debt, then Chapter 7 may be for you! Chapter 13 Bankruptcy repayment plans will help you keep your house, car or other asset. You must have a regular source of income to file a Chapter 13 Bankruptcy. This can be from a job, social security or from self-employment. Chapter 13 is also for those who do not qualify for Chapter 7, due to income, or assets or most of your debt is not dischargeable in Chapter 7 – such as student loans, alimony and child support. Chapter 13 repayment will give you a chance to repay some or all of your debts over a period of up to 60 months. It stops creditors from calling and suing you when they are listed in the repayment plan. If you stop paying, then your case will be dismissed or converted to Chapter 7 Bankruptcy so the Trustee can sell the asset and repay your creditors. You still have exemptions available in Chapter 13 bankruptcy, but you may forgo a portion of an inheritance or lawsuit you have filed to repay your creditors. For more information visit www.PodisBankruptcy.com or call 615-399-3800 and schedule a free appointment with us! By searching the academic services one would like to get safe essay here with no risks.